The illustration for January was done by BIOWORKZ, a.k.a. Ben Kwok, from Southern California. 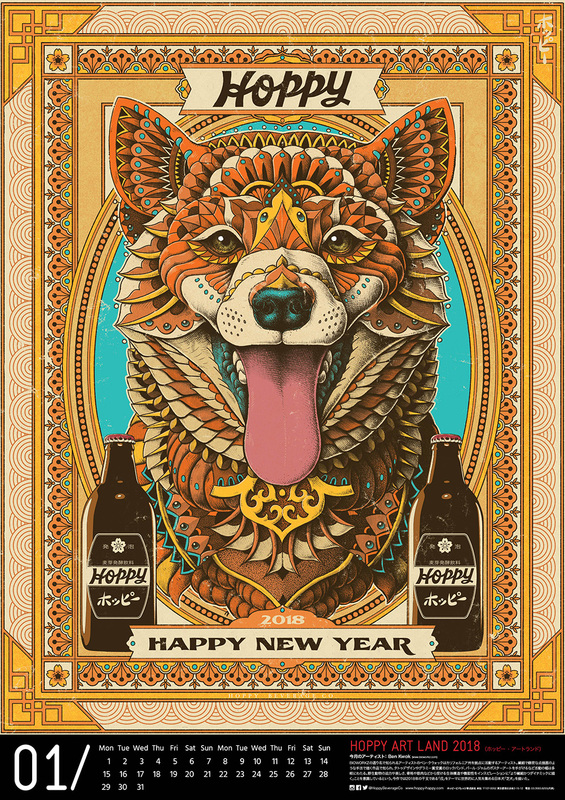 Ben is a graphic artist and illustrator who was born in Taiwan and raised in Los Angeles. He loves complex, hyper detailed artwork, giving way to rendered, polished illustrations. 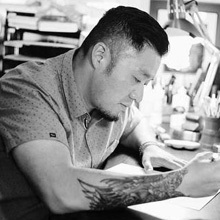 He noted about his illustration and Tokyo, “I’ve always wanted to draw all 12 animals of the Chinese Zodiac, so this project had extra meaning for me. I have immense respect for Japanese culture. Things that come out of Japan are usually of the highest quality because Japanese people care about how things are made and pay attention to all the details. They take pride in the work they produce. Tokyo is definitely one of the places I would love to visit one day. So much to see and so much culture to absorb”. Copyright © 2017 Hoppy Beverage All Rights Reserved.